A gummy smile is when a large portion of a person’s gums are visible when they smile. A gummy smile causes many people to suffer; including loss of self-confidence and lowered self-esteem. 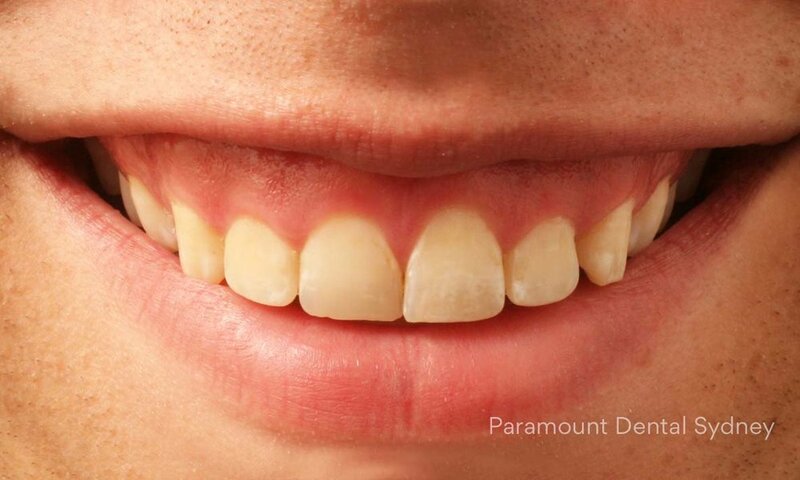 Here at Paramount Dental Sydney we have a range of treatment options to help restore your confidence and have you smiling exactly how you imagined. Our dentists will examine your mouth, teeth and gums to determine the extent of the problem and discover the causes. This examination may involve conventional and digital impressions of your teeth and gums. To ensure that the tooth roots and jaw bone can be carefully examined, you may also need x-ray imaging which we do all on site. The treatment needed for each patient will vary depending on their individual needs.